I've had mixed feelings about October's Calendula and Opals mandala since drawing it, but at the time I was facing a deadline and pretty entranced with square mandalas. Then Spoonflower announced a contest for floral themed WALLPAPER. Imagine that. Wallpaper that you can color. 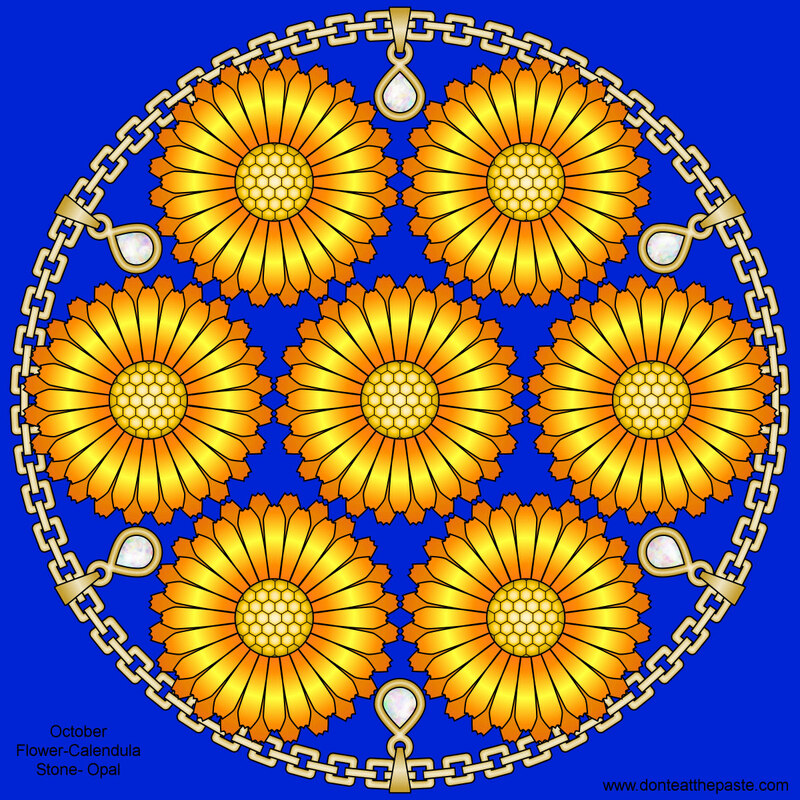 If you're a fan of The Birthstone and Flower series of Mandalas you can get it as wallpaper after I order the proofs. Or if you don't want to wait that long, you can vote for it in the contest and if I get in the top 10 Spoonflower will print it before I finish filling out my next sampler of fabrics to order. Voting will be open on April 24th. The design I submitted has all the flower/stone/month names in the corner, double checked for accuracy and consistent layout, it does not have my URL on it. 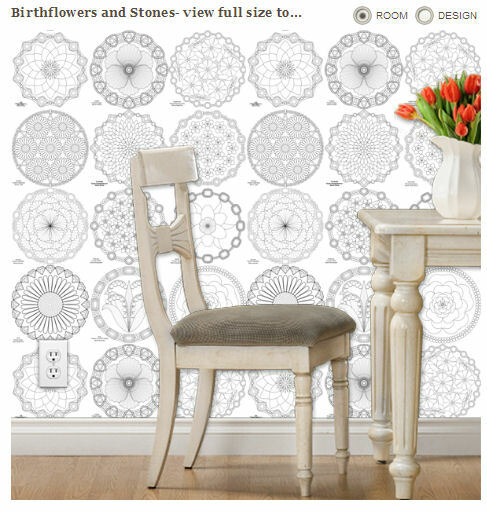 This is the mockup from the Spoonflower site for how it would look as wallpaper. It's laid out in 4 rows and 3 columns. So I redrew the October mandala to fit better with the rest of them. 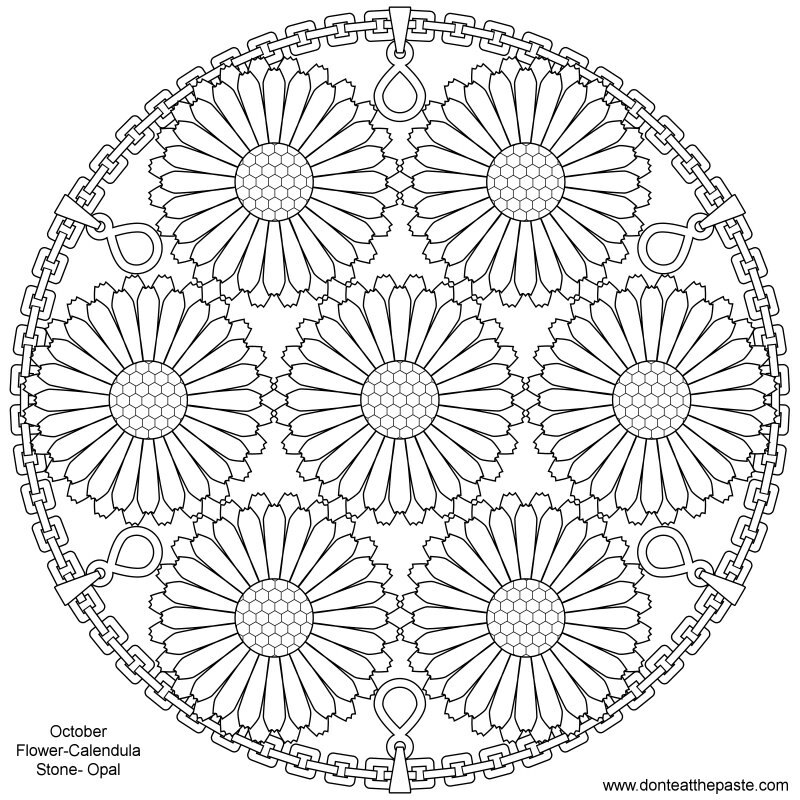 Click on the image for a larger version and print it to color.